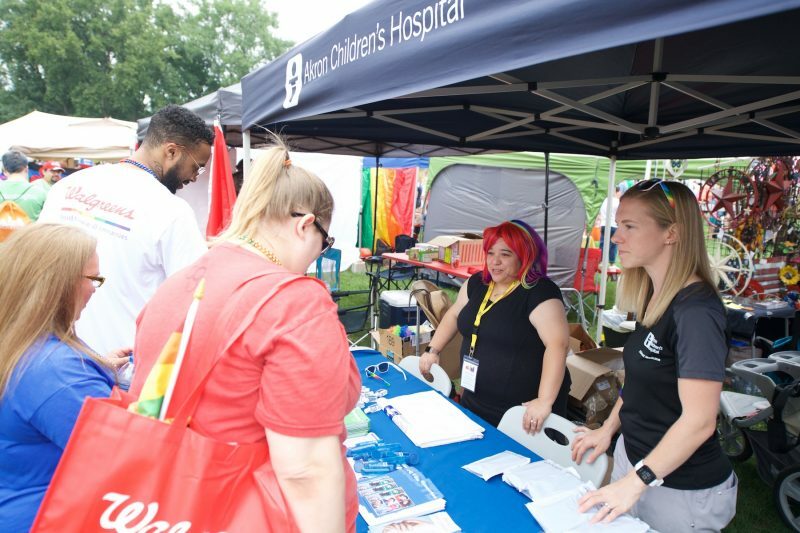 At the Pride Festival, the Division of Adolescent Medicine spent time talking with the lesbian, gay, bisexual and transgender (LGBT) community and allies about its medical services and future plans to support transgender and gender nonconforming kids. When children, teens and young adults question their sexual orientation or gender identity, they look for answers. Resolving their uncertainty and concerns around identifying as lesbian, gay, bisexual and transgender (LGBT) can cause a lot of confusion and angst for teens and loved ones. 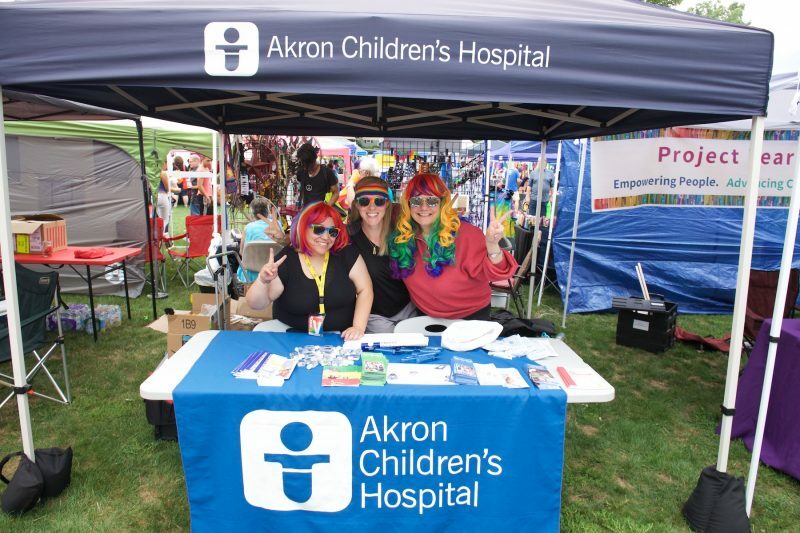 That’s one reason Akron Children’s Hospital’s Division of Adolescent Medicine participated in this year’s Akron Pride Festival. Dr. Crystal Cole, an adolescent medicine physician at Akron Children’s Hospital, enjoyed seeing Heather Kutz, 19, who’s a patient in the Division of Adolescent Medicine. 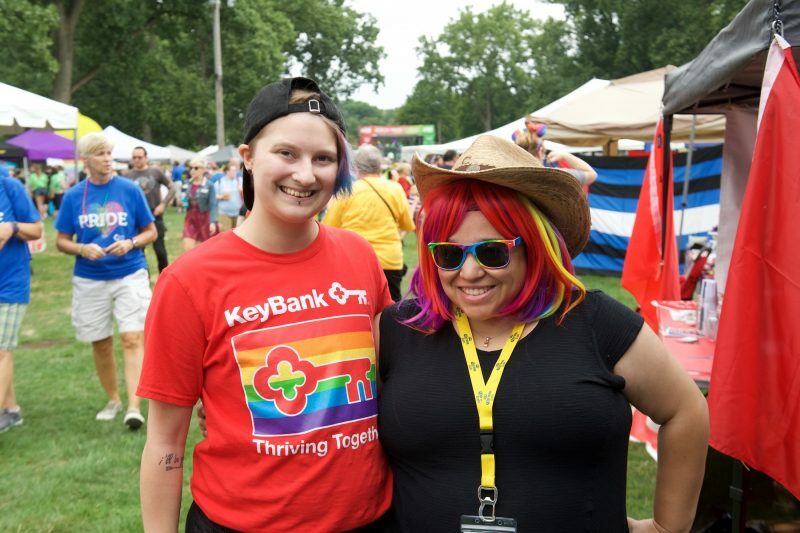 The Division of Adolescent Medicine also shared its plans with people they met at Akron Pride to grow the subspecialty and primary care services it offers to transgender and gender nonconforming patients. Currently, Akron Children’s is developing a pediatric transgender care program to address gender-related medical and mental health needs. According to Carole Becerra, director of diversity and inclusion at Akron Children’s Hospital, the outreach the hospital is doing with the LGBT community fits with its diversity and inclusion initiatives. 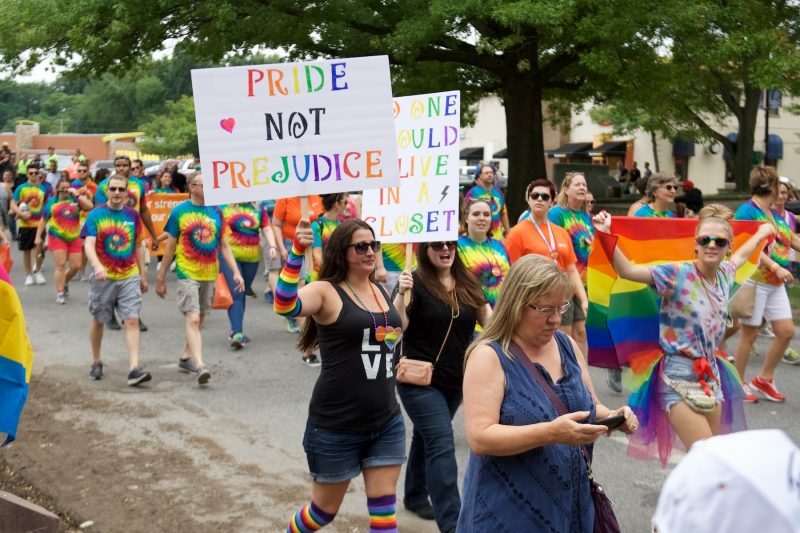 The Akron Pride Festival took place on Saturday, August 25, in Akron’s Hardesty Park. Prior to the festival there was a 1.5 mile equality march from Highland Square to Hardesty Park. It included many supportive community, company and church groups.